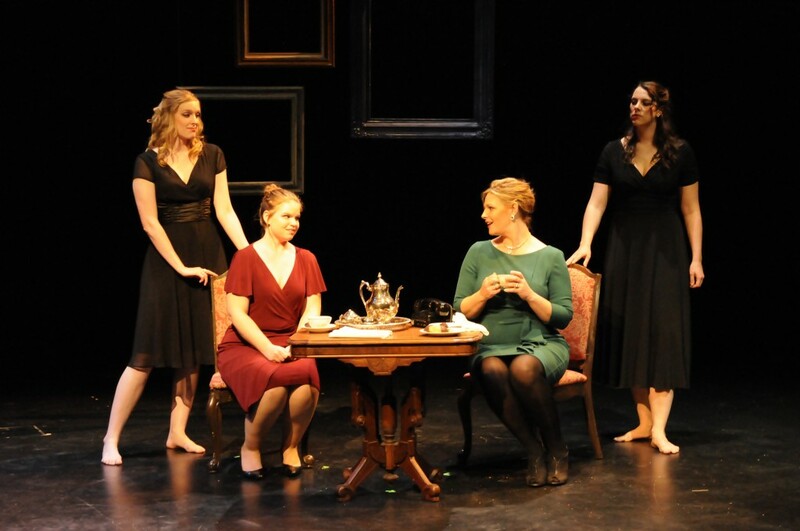 The Clever Artifice of Harriet and Margaret is a one-act chamber opera for four female singers composed by Leanna Kirchoff. Based on Alice Gerstenberg’s 1913 play, Overtones, the opera depicts the cat-and-mouse conversation between Harriet and Margaret, as they each try to accomplish their agenda without the other one knowing it. Symbolic of Freudian ego and id, the two women are shadowed on stage by their inner selves, Hetty and Maggie, who interject their own uncensored commentary.